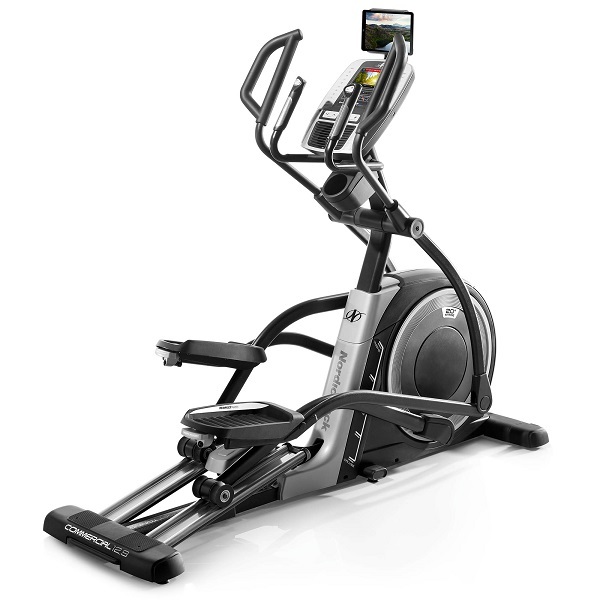 We have not yet had the opportunity to properly review the DKN XC-100 Elliptical Cross Trainer, but hope to be able to very soon. The DKN XC-100 is a lovely piece of kit. 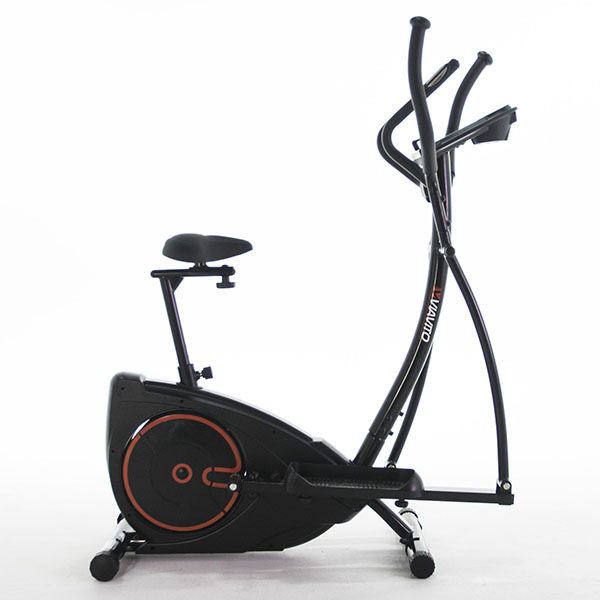 DKN have built this product with the most demanding user in mind and the build quality can’t be faulted. The touch screen is set into a very tidy, next-generation console and allows easy control of all the built in features (including 12 programmes) whilst providing continuous feedback of workout data. 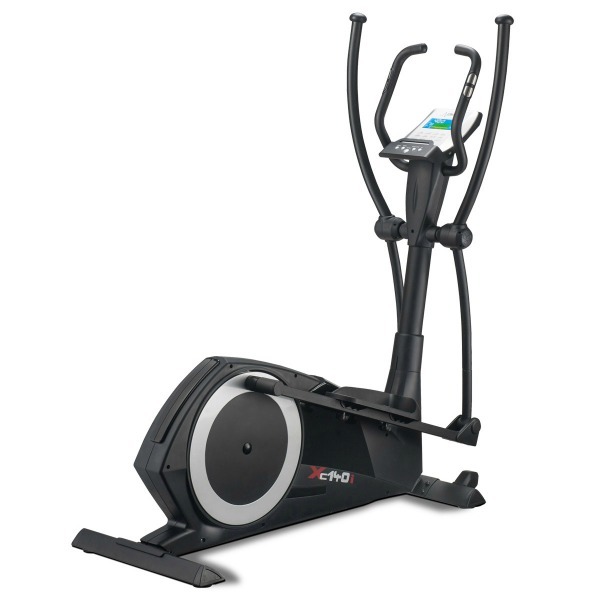 The XC-100 has a 16″ stride length and is most suitable for users up to around the 5′ 10″ mark. 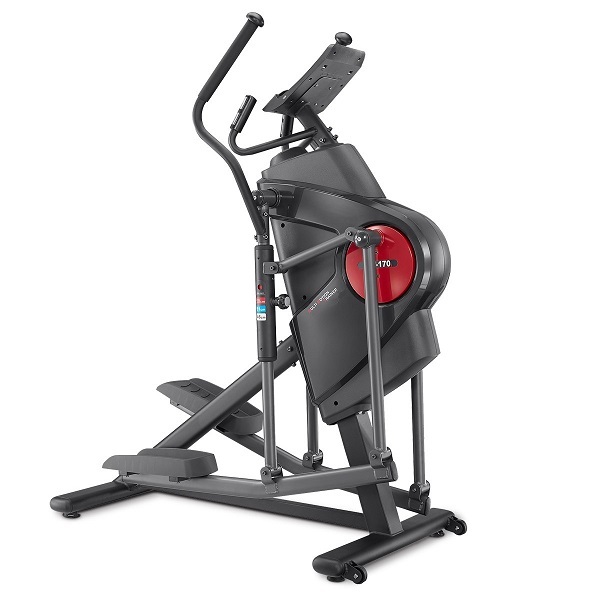 The loftier of us may want to consider a machine with a longer stride length to ensure all muscle groups are worked on effectively and safely. 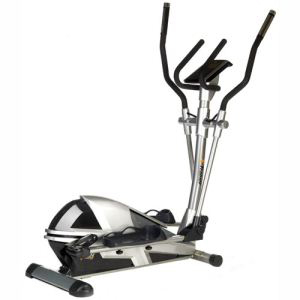 We feel that the 11kg flywheel weight and sturdy construction makes this trainer ideal for users up to around 21 stone. A quick calculation with the slide rule informed us that this is 133 KG. One thing that really won us over with this machine was console. The touchscreen may be a little intimidating at first, but once you have used it a few times you will really see (and feel) the benefit of the technology. The funky touchpad lights up to provide an easy to use workout interface. 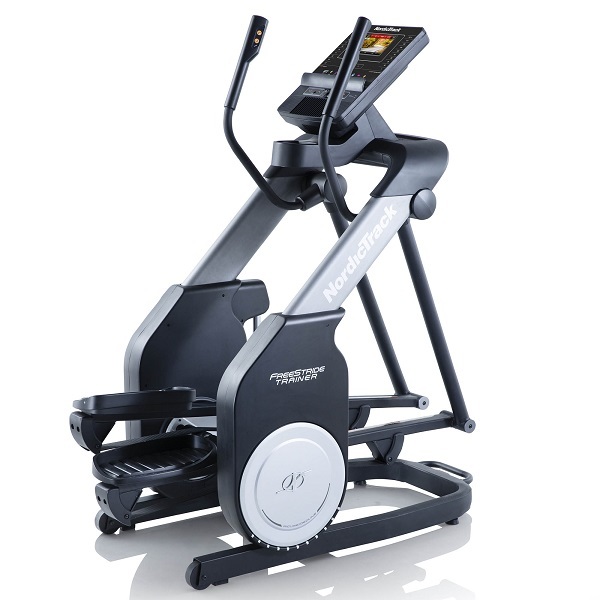 Combined with the full colour LCD display it means you can quickly and easily have total control of the workout with everything including time, speed, distance,(theoretical) calories, watts and pulse right there in from of you. 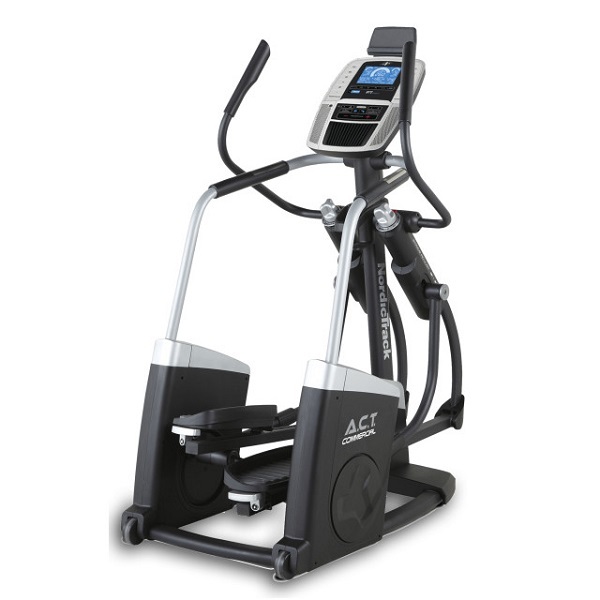 Heart rate control is an additional feature on the XC-100 which makes it one of the few machines at this price point with that functionality. If you’re not into the science of your workout then the integrated hand grip pulse sensors provide feedback. We tested the machine with a few analogue chest belts and the heart rate control performed excellently. 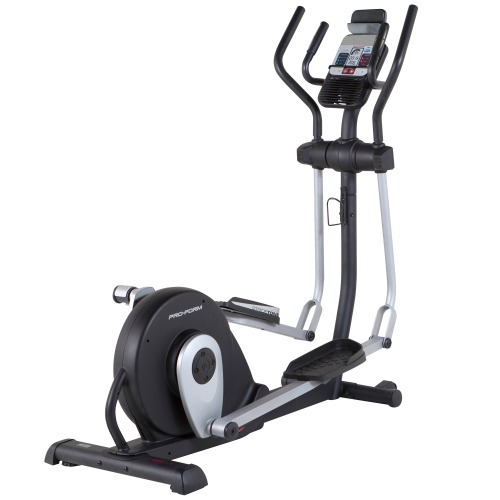 A browse of the manual confirmed that the machine is compatible with any analogue chest belt that operates in the 5khz to 6khz frequency, so you shouldn’t have to splash out too much to unlock all the benefits of the heart rate controlled programmes. When it comes to programmes, the XC-100 has a total of 12 professionally designed presets. You also have 4 heart rate controlled programmes, meaning you have an infinite number of possibilities in line with your performance levels. If you want to be completely flexible you can opt for the “get on and go” setting and make use of the 16 levels of electromagnetic resistance. 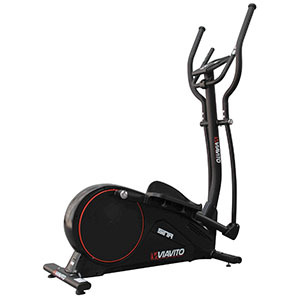 Some cheaper machines use magnetic resistance, essentially this method of resistance “applies the brakes” to the flywheel to increase resistance and make the workout harder. This requires moving parts and we all know that more moving parts equals more things to break. With the DKN XC-100, the resistance is electromagnetic. To skip the boring science bit it means you have few moving parts, more control over the level of resistance and a smoother and quieter workout. The only noise will come from the user! We were impressed with another great use of technology which was the built in body fat analyser. Hold on to both of the pulse grip sensors and after around 10 seconds your BMI will appear on the LCD display. Handy and sometimes a little scary, but we are sure that after no time at all those numbers will be a little easier on the eye and frankly, a great bit of added-value usually found on machines £600+. 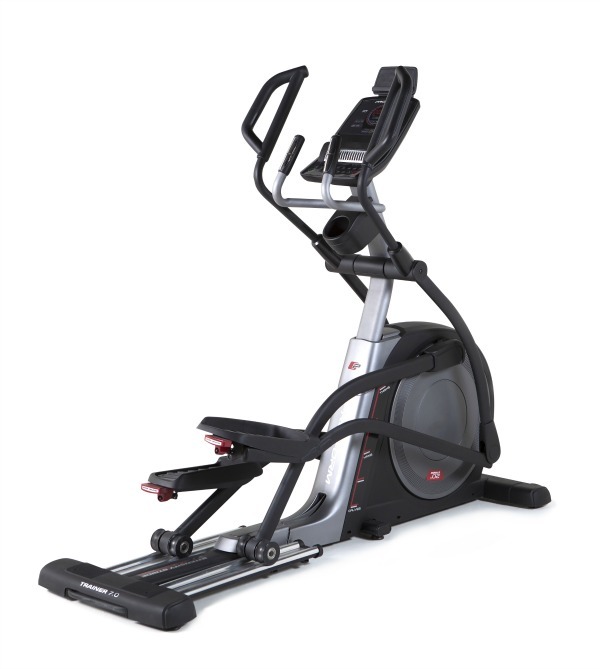 Our score : 9.0 (out of 10) A solid elliptical packed with features from one of the market leaders.. The DKN XC-100 is not currently available from any retailers we're aware of in the UK.